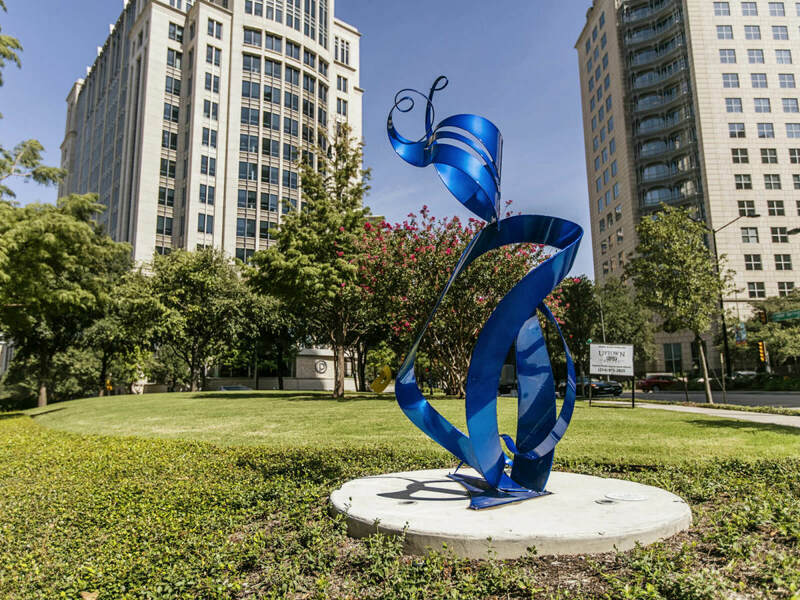 Art decorates Anita Phelps Park in Uptown. 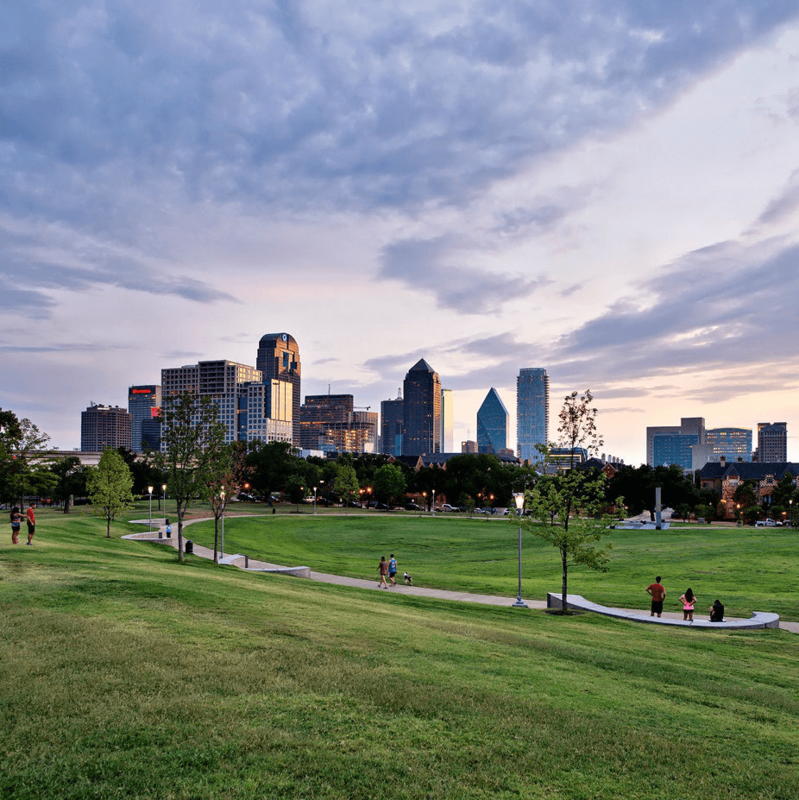 Photo courtesy of Uptown Dallas Inc.
Griggs Park puts some green right in Uptown. 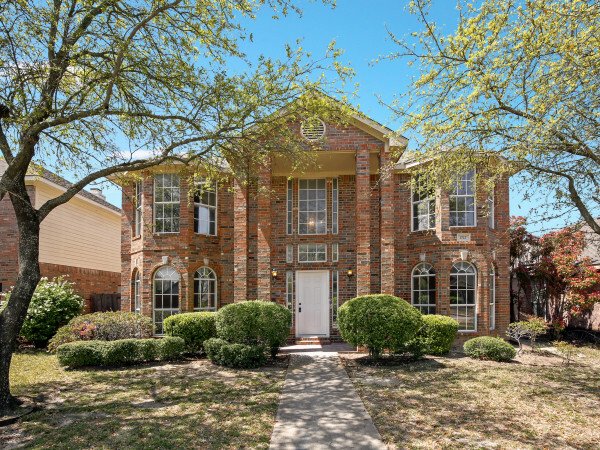 Photo by Justin Terveen/Courtesy of Uptown Dallas Inc. When you think of Uptown, "shopping," "dining," and "entertainment" are probably the first things that spring to mind. But something else should too: "parks." 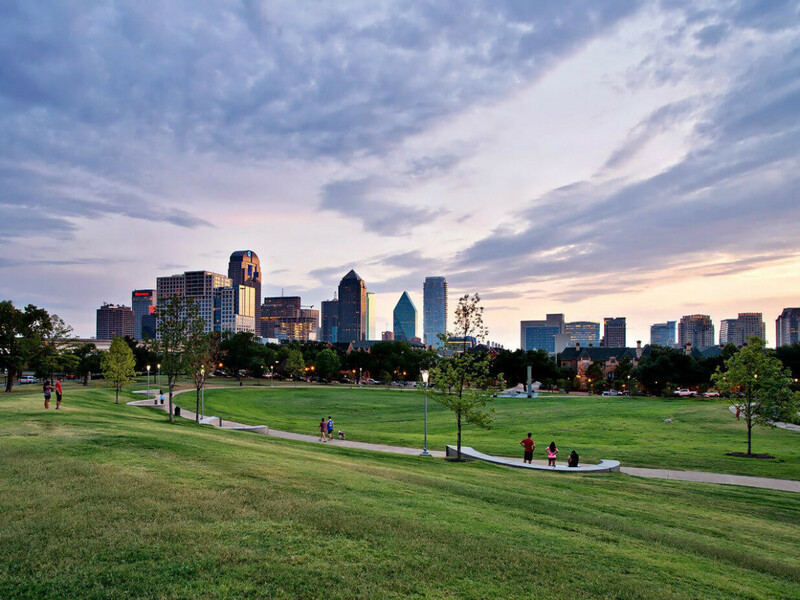 More specifically, Griggs Park and Anita Phelps Park, the two lovely green spaces that Uptown Dallas Inc. (UDI) maintains and improves so residents and visitors alike can enjoy a little bit of nature within the city. 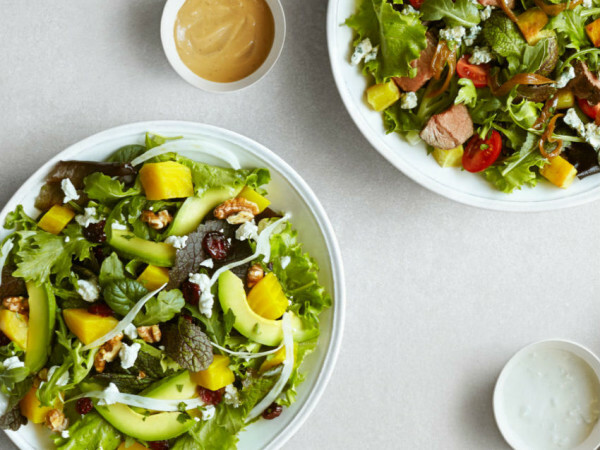 At eight acres, Griggs Park is an oasis amid the hustle and bustle of Uptown. It was reconstructed in 2013 and has been evolving ever since. The park includes a walking path, stunning skyline views, and family-friendly amenities such as a half-court basketball court donated by the Mavs Foundation and a soon to be, new playground. Construction on the new playground began in mid-September and will consist of two areas designed with different age ranges in mind: the first for little ones ages 3-5 and the second for kids 6-12. Of course, swings, slides, and climbing structures aplenty are in the plans. UDI says the new playground will be complete by the end of the year with plans for a spring celebration event. Griggs Park also serves as a gathering spot for the Uptown community, especially when there's fun to be had. UDI's Movies in the Park shows a different flick al fresco each week in September, drawing picnickers, families, and movie buffs to the free event. On October 4, Griggs Park will be the site of the Uptown Block Party for National Night Out, which encourages neighbors to look out for each other and will include a canned food drive and free concert from '80s cover band The Spazmatics. Though smaller, Anita Phelps Park, located at 2200 Cedar Springs, is no less impactful. Uptown Dallas, Inc. has added lush grass and benches from which to enjoy it, and the trees are lit at night for both safety and beauty. The company also added additional trash cans, a bike fix station, and repaired portions of damaged sidewalks. 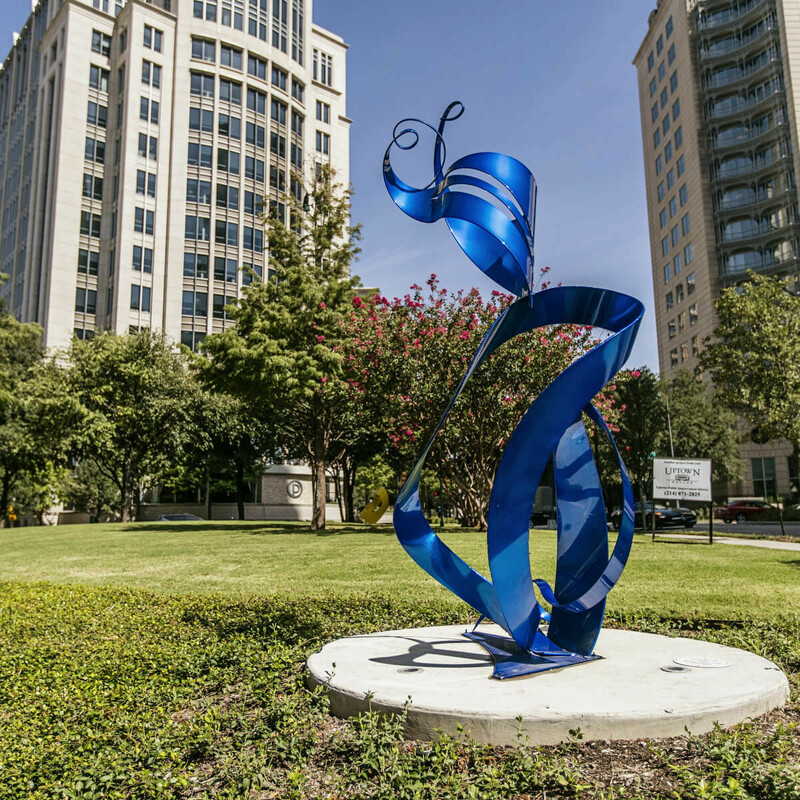 Three art sculptures, donated by Gables Residential, add color and whimsy to this beautiful park. UDI also is working to turn McKinney and Cole back to two-way streets, which would bring even more green space to Uptown. The reclaimed public space could be turned into plazas perfect for reading a book or savoring a meal outside, and would also up the area's property values even more. Now that's a true win-win situation.